The introduction of the Merlin engine transformed the initially mediocre P-51 Mustang into a world class fighting machine with the iconic P-51D, all but supplanting other types of fighters used by the United States Eighth Air Force in Britain. By May 1945, Mustangs had flown 213,873 sorties and claimed 4,950 enemy aircraft destroyed. 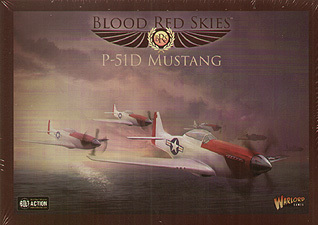 3 Action cards to play Blood Red Skies, the tactical WWII air combat game.